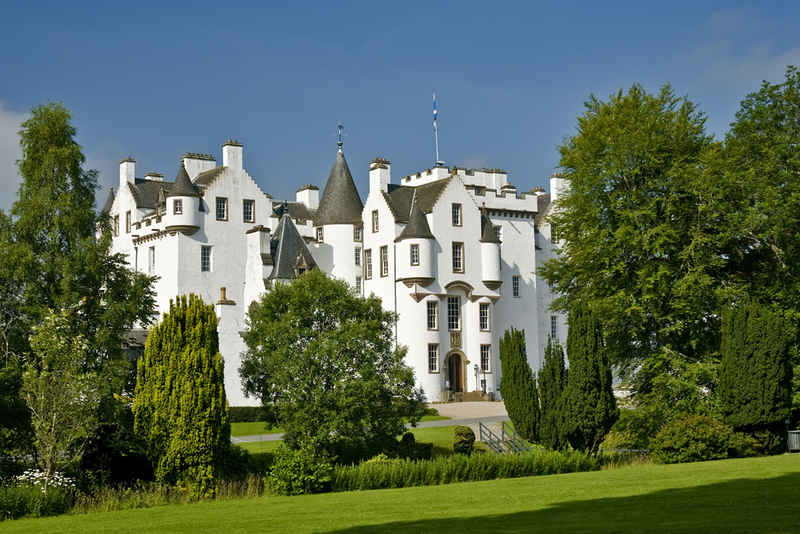 Blair Castle, at Blair Atholl is a most impressive sight from the A9. Hugely popular, with almost a holiday camp atmosphere. Numbered rooms are chock-full of ‘collections’: costumes, toys, plates, weapons, stag skulls, walking sticks – so many things! Upstairs the more usual stuffed apartments including the Jacobite bits. Home to Britain’s only private army.